Campbell Elementary School's EL (formerly expeditionary learning) model, our Outdoor Classroom, and our relationship with nearby apple orchards have allowed for a multi-year local sustainable apple exploration. Our students work with heirloom apple trees on our school grounds, studying the life cycle of the trees and their inhabitants, taste a variety of types of apples donated by local farms that use Integrated Pest Management (IPM) and make their own apple cider vinegar using Virginia apples. Students understand the life cycle of a fruit tree and appreciate what it takes to grow food in a sustainable way. 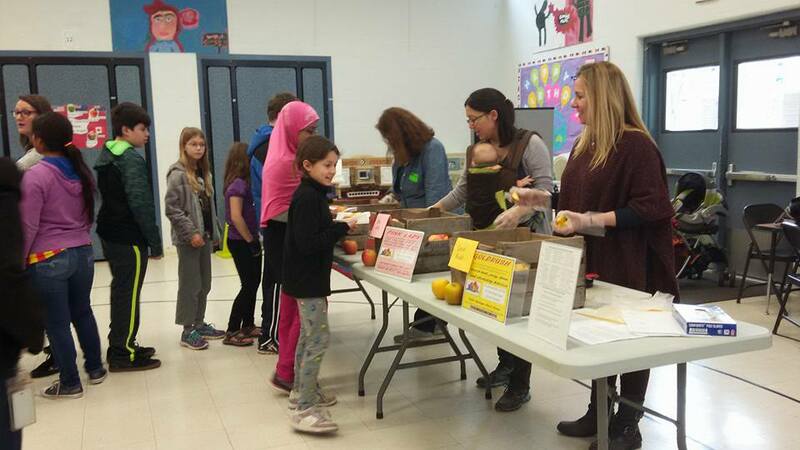 Students learn healthy eating habits and understand that there are a wide variety of whole food choices available at a low cost. Students gain awareness of sustainable growing practices by local farms that use Integrated Pest Management. 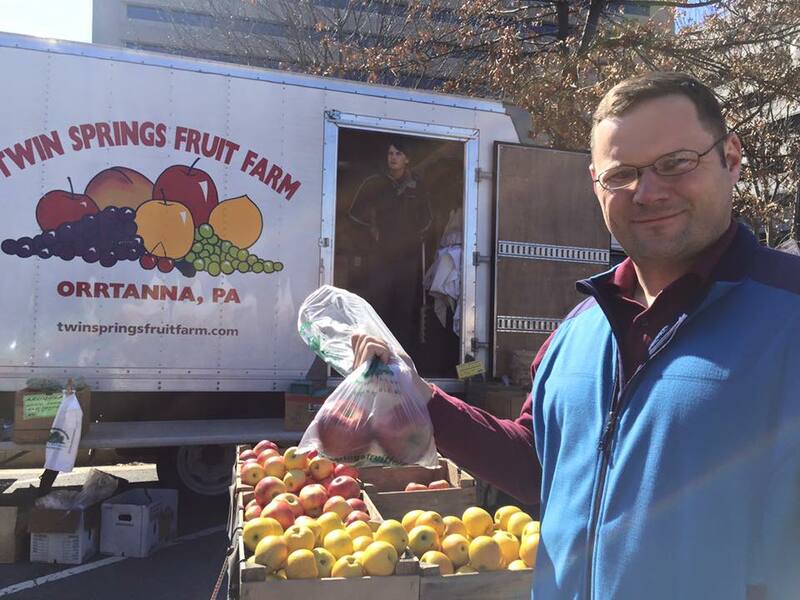 Students develop an appreciation for frequenting local farms and purchasing food at farmer's markets. 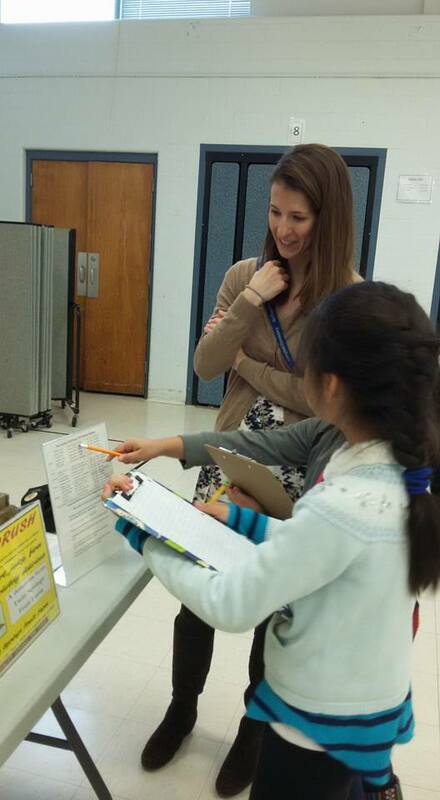 After the apple tastings, students take a fact sheet home to their parents that includes information about the tasting and the donating orchard, including how to find the orchard at the local farmer's market. The handout also includes nutritional value data for apples vs. chips and the comparative prices, showing apples to be a cost-effective and healthy snack option. The Campbell EL model leads us to integrate this project across multiple disciplines. 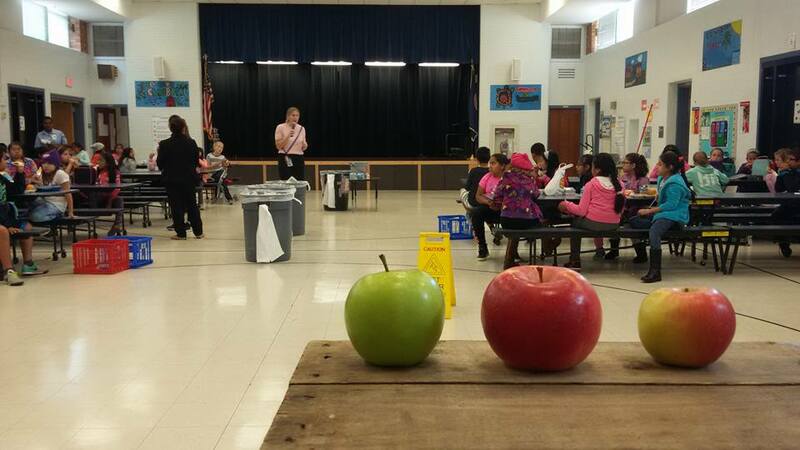 Students taste-test different types of apples donated by nearby orchards. Students have the opportunity to learn about apple production, about local farms, and about the different types of apples. Discussion about the tasting includes vocabulary development using descriptive words. 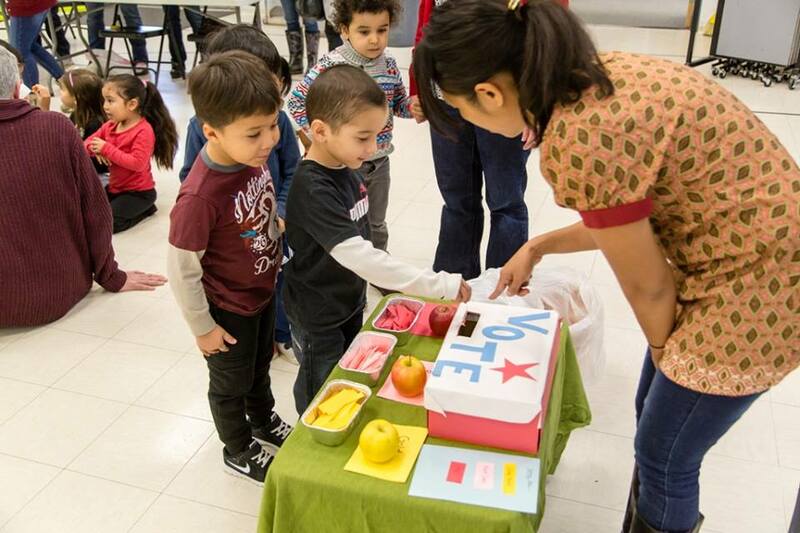 At the end of the tasting, students get to vote on their favorite type of apple. 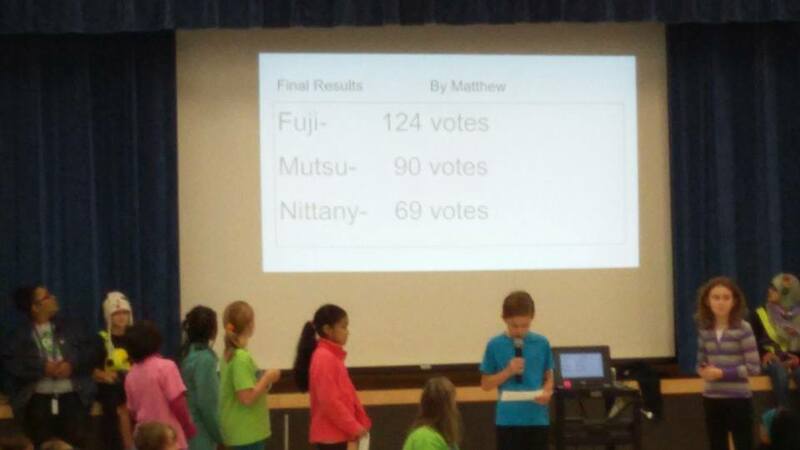 Third graders integrate the voting results into their study of graphing and create visual representations of the school-wide votes. Their findings are shared with the whole Campbell community (students, teachers, staff, and parents) at the weekly Community Meeting. To close the sustainable apple loop, the turtles in our courtyard pond enjoy the apple scraps. Fourth grade students also used some scraps to produce apple cider vinegar as part of a science learning expedition. 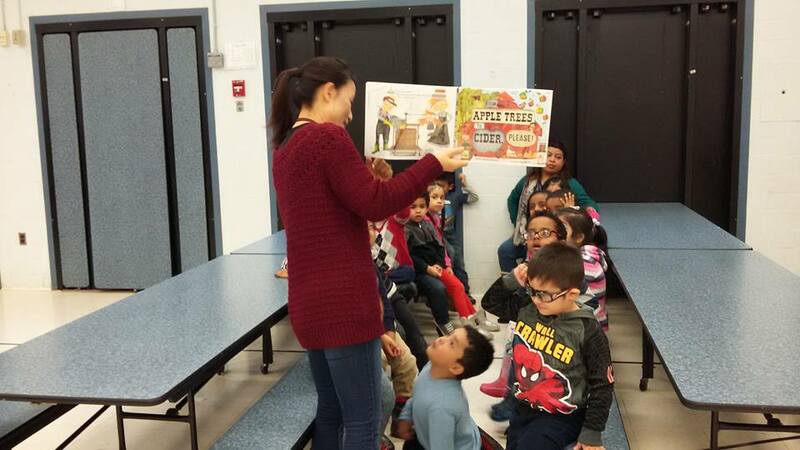 Students also use the on-site apple trees for life cycle study, conduct experiments to determine oxidation rates, and even learn to bake apple pies with a literary tie-in. Future food tastings aim to use some produce grown in Campbell gardens. 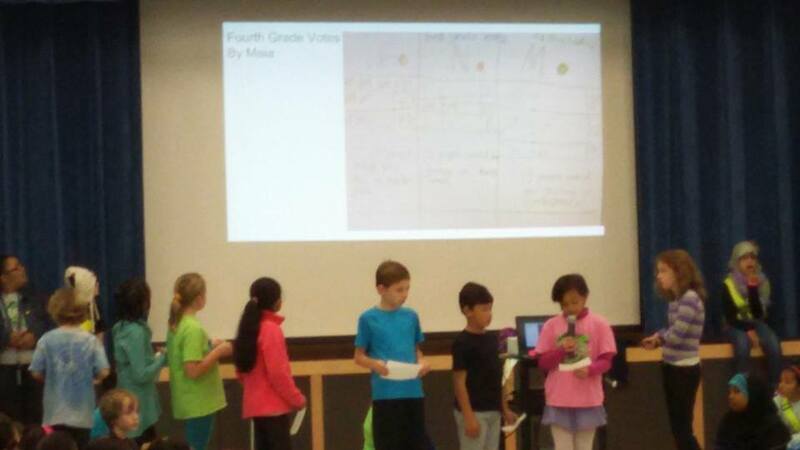 Student presentations at community meeting demonstrate an understanding of agricultural basics in addition to a real-world application of math and graphing. 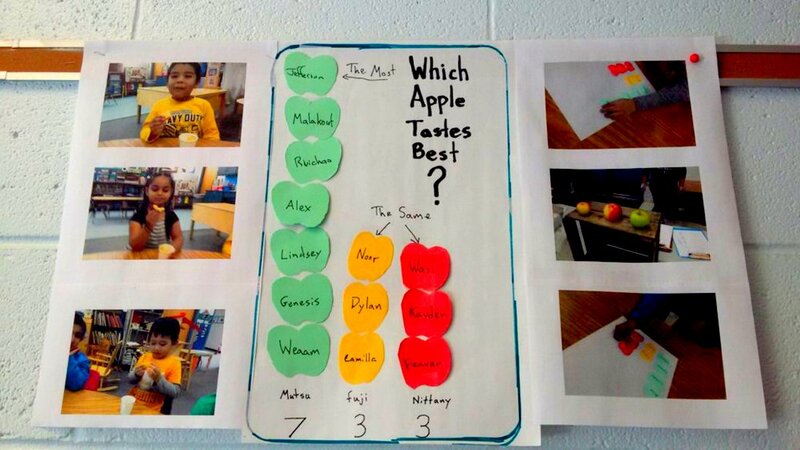 Additional class displays show students even at the preschool level have an awareness of plant colors, shapes, parts and of the taste differences between apple types. 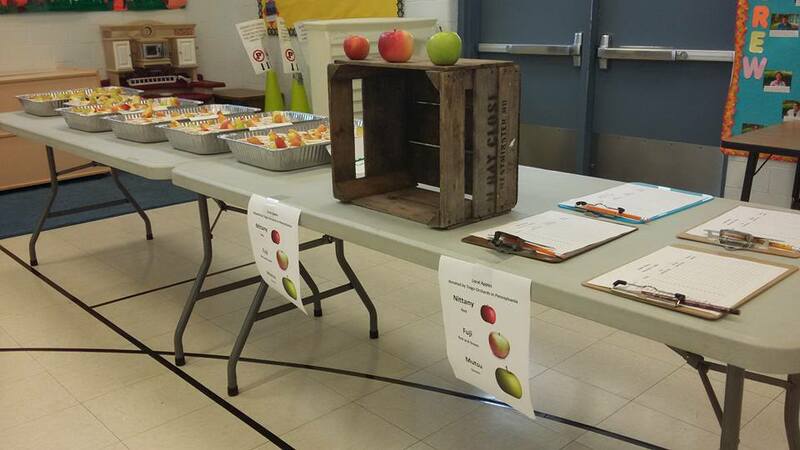 Campbell students taste testing apples and voting on their favorite today! ? Students in all grades tasted 3 kinds of apples today. Our Latino moms group helping with the apple tasting today!